First time around I got up, wandered about, found some laundry and put on my washing machine, at the midway point. In places, it seemed like Sheffield in the dark, at times exposition sunk dialogue and pace and progress halted. I was underwhelmed and very much disappointed. I initially thought 4 out of ten. The second viewing proved more worthwhile. Nuance, balance, some decent performances, possibly less dark as I first thought. The Doctor. Yes, she’s a woman. Does it matter? I think not. My issues on first viewing weren’t with Jodie Whittaker. Opening episodes for new doctors can have mixed fortunes. The season thereafter may afterwards improve and get better, I certainly hope so. I think at times though, the episode clunked. That’s due to the writing and certainly that’s Chris Chibnall’s creative process and his writing team rather than it merely just being just a new doctor. There’s a vision to the new start and I wonder just how it was initially envisaged and how that differed from the end product. Obviously, a point of origin for the Thirteenth Doctor, a background to her companions, a grounding to all the stories to come. But for all we take the background, there’s a story of an alien and his teeth prized seeking recognition of his clan. It’s a difficult one to reconcile and that showed. Ryan’s dyspraxia was well handled, Yazz seems level headed and sensible but wants to prove herself, Graham has survived cancer, but has just lost his wife, his rock through recovery. There’s things to work with and Whittaker’s thirteen is certainly yet to be defined and developed. Is she merely a female Tennant/Ten? Is she the old/young Eleven? What remains of Twelve and all the others along the way? It’s a reboot to NuWho with a change of showrunner and another clean slate, the doctor is now in a group of four, so maybe a more ensemble piece rather than the focus on ‘doctor and companion’. There’s something there though, with a new direction, a new doctor, new companions and presumably a new TARDIS to be revealed in episode two. A considered opinion on a rewatch is 6/10. There’s plenty of work to be done in the next few months and the click of character relations, the actors easing into their parts and the creativity being unleashed. 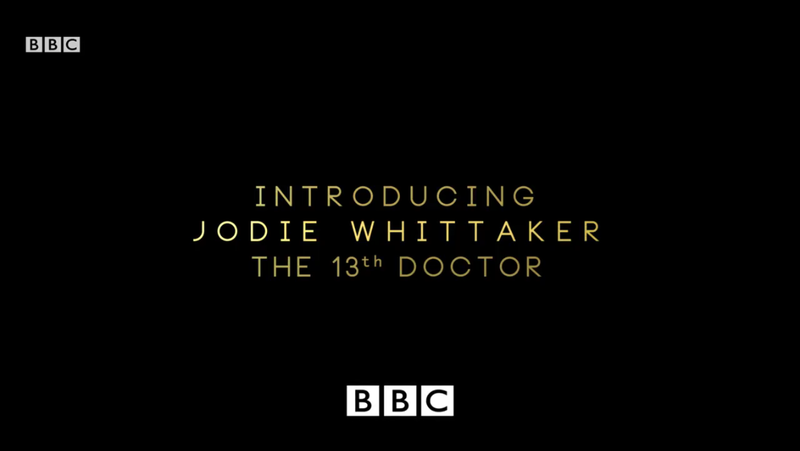 The BBC certainly have assembled a range of guest actors for the season according to the promotional video played after the end titles, I won’t rattle through names, but certainly impressive. Much more to come, some fear and some hopes. Ok, let’s speculate, how do you deal with two Masters (or a Missy and Master), Bill as a Cybermen and a huge spaceship full of Cybermen? Simm Master says to Gomez Master ‘I’m concerned about my future’. So Simm Master becomes Gomez Master at some point. Okay, easy enough so far. Therefore the Simm Master has to be killed, preferably by Missy. To create a temporal paradox. Two Missies can’t be. If Simm Master regenerates into Gomez Master with Gomez Master already there. Yes, it’s a giant Reset Button kids. Time Lords from different points in their own existence should fizzle a bit, so we’re at Father’s Day in Series 1 with the Ninth Doctor a bit. Day of the Doctor has the excuse that Doctors Ten and Eleven were made to interact with the War Doctor through the influence of the Moment device. But.. didn’t the Master die already with the Tenth Doctor in ‘Last of the Timelords’? Kind of. Lucy Saxon brought him back for ‘The End of Time’. But same guy but blonder and madder and more well, everything. Whether the events of those two episodes are even relevant I don’t know, and is Simm-Beardy-Master before or after Simm-Blondie-Master in timing? The reference to Harold Saxon means he’s definetly after Simm-Saxon-Master, but we know nothing else. 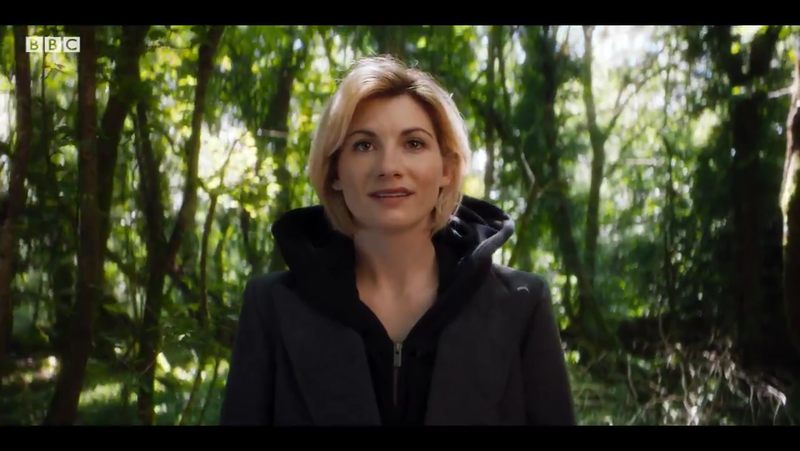 If it’s a linear progression of Simm-Saxon-Master, Simm-Blondie-Master, Simm-Beardy-Master, Gomez-Missy-Master, then that’s simpler, but leaves the issues of two different incarnations of the same Time Lord at the same time and obviously their self interest not aligning vis-a-vis The Doctor. Simm-Master presumably hasn’t encountered the Twelfth Doctor before, but Gomez-Master owes him her life. Okay, so there’s some dramatic tension between two different antagonists, but their whole relationship won’t be almost mutual automatic trust as between the Doctor’s different incarnations but, will have more nuance. If Simm-Master isn’t the direct predecessor of Gomez-Master, then we’re off on the River Song sort of Timey-Wimey timeline. If Missy-Master does die in The Doctor falls, then who does Missy then regenerate into? Presumably our Thirteenth Doctor needs a Master too. Obviously better if Missy’s fate isn’t resolved just yet. So, logic leads me to Gomez-Missy-Master killing Simm-Beardy-Master but along the way is the question of The Doctor and Bill and at what point and level a paradox works especially in what is effectively a gravity well with time running faster at the part of the ship nearest the black hole. Differential time, Differential effect is possibly the get out available to stop the finale merely being a Reset of events. Missy will well understand the effect of the Black Hole, possibly to know that killing the Master later might have less overall effect than earlier and lower in the ship.